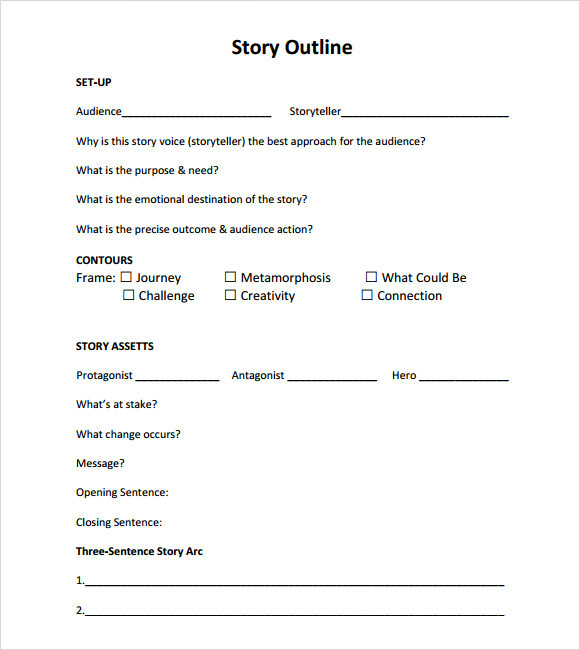 Story Outline template is a form of template needed to have an effective story composition. 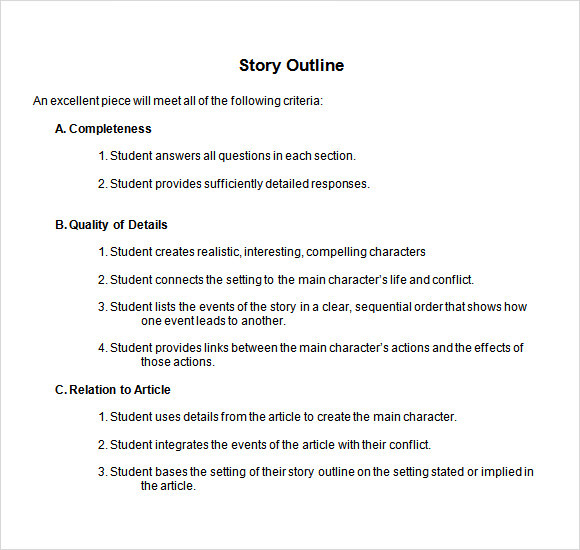 Story outline template is one of the useful tool outlining the format, style and layout of the story using the ready made templates in the website. This Presentation Outline Templates can benefit a lot of people whether you are a student, employee, writer or one who works in a publication organization. 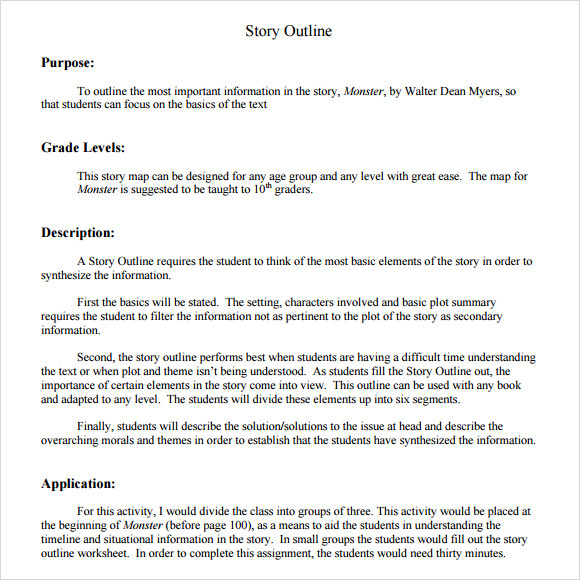 Utilizing a story outline template is very helpful for it manages time, aside from the fact that it is accessible and convenient. This is also like Storyboard Templates free cost where it is available in the website that anyone can download it for free. It also allows us to customize the story by clicking and editing some points in the template creating your own. 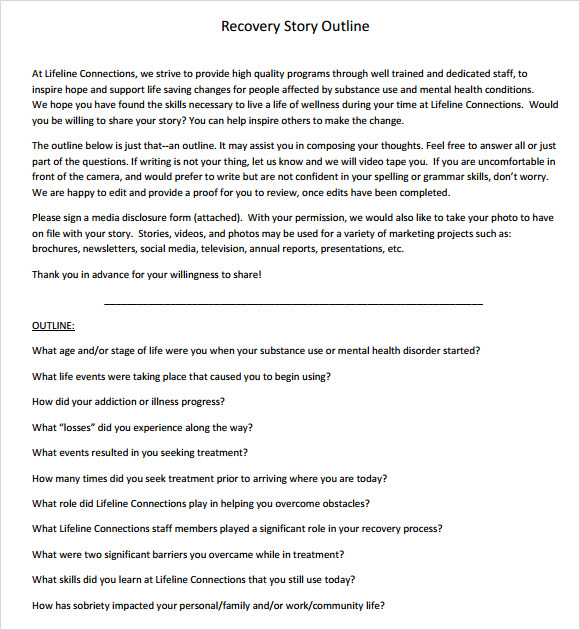 Unlike from the traditional of hand writing the outline of the story, template is much easier and enjoyable to do. 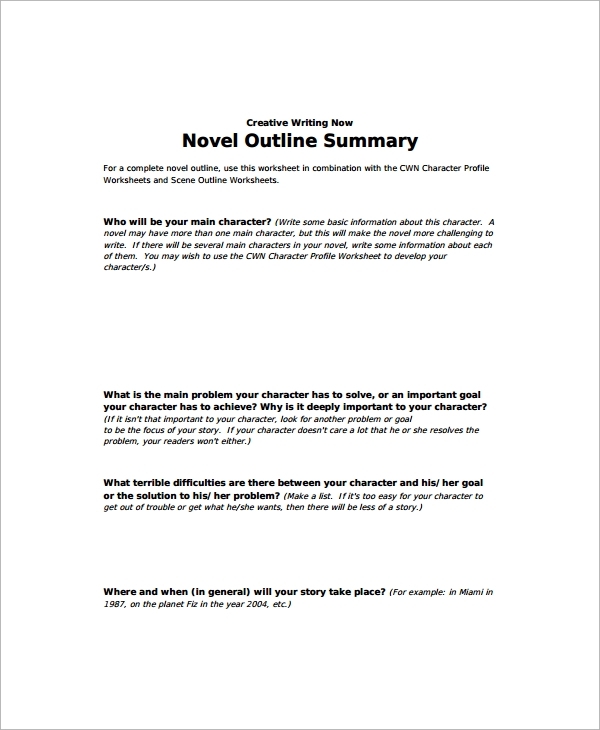 The novel outline template provides you with the format, especially for the novel outline. It features the inciting incident, rising action, crisis, climax and the resolution of the plot. You can also edit it easily and add more points to the rising action. 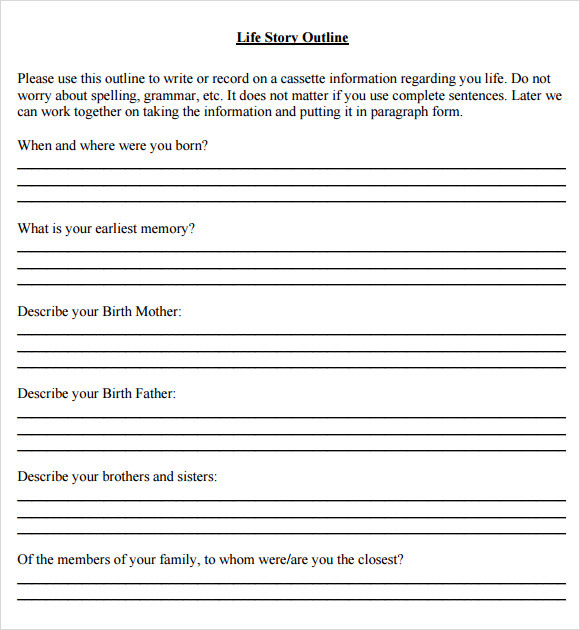 The life story outline format template provides you with a format of a life story outline. You can fill your life details in it or even someone else’s. It features details like when and where were you born, your earliest memory, description of your birth mother and father and more. The story outline template PDF comes in PDF file format and can easily be converted into word doc file format. It features the story outline and for effective presentation of outline, the details are divided into categories like set-up, contours, story assets and three sentence story arc. 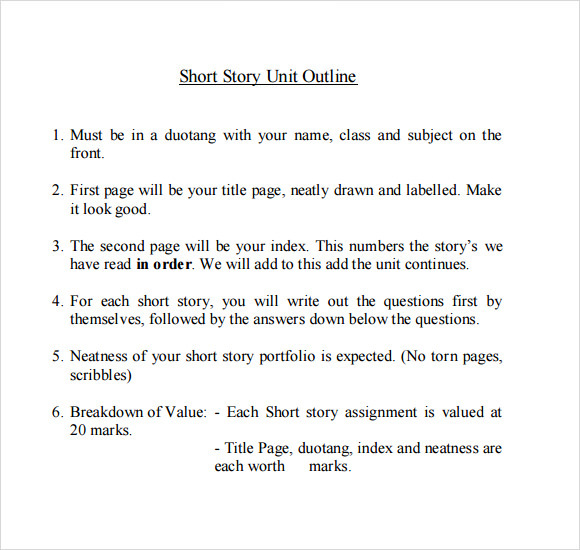 The short story outline template free consists of a story outline for short stories. This can also be given to children as an exercise or an assignment for drafting the story. The twelve questions provided in it cover all main points of the story effectively. Why is the Story Outline Template Needed? The story outline template is needed for outlining the story before drafting it. It helps to highlight all the prominent points of the story like the rising action, the climax, conclusion and more. This template provides you the format of an outline which has all the details in it which are required to draft a story henceforth. 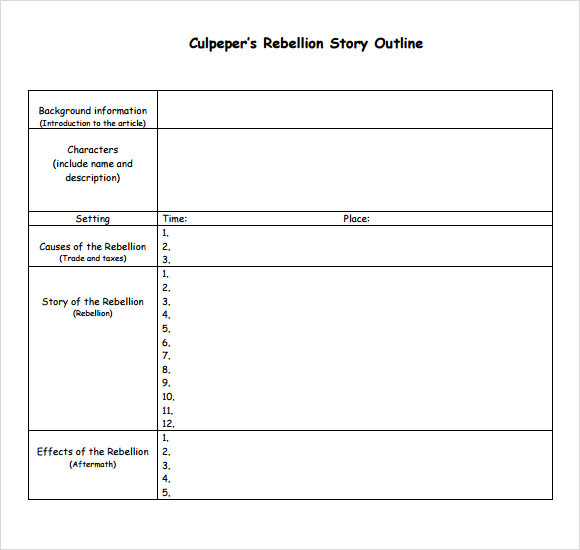 With this template, you get the outline which can easily be put into action and make an effective story. These outlines make you write better and faster and also give out the best-desired results. When is the Story Outline Template Needed? The story outline template is needed at the time of drafting an outline of the story before creating it. 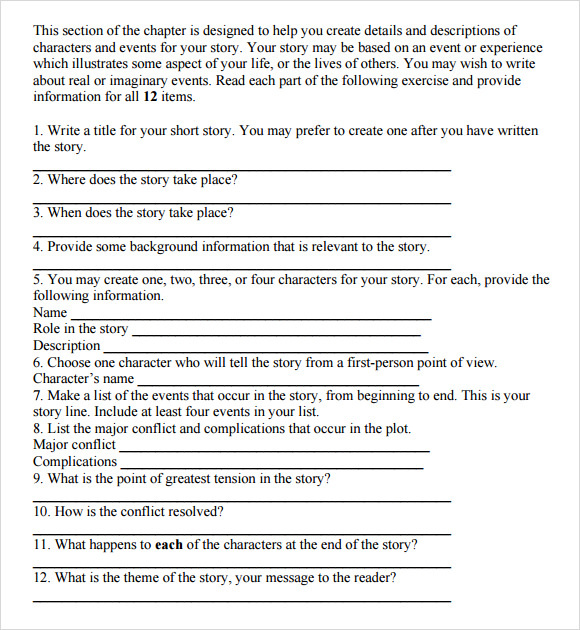 This template is needed for providing all the points which complete the plot including the rising action, conclusion and more so as to finalize the main twists and turns of the story. It is also needed to prepare a character sketch of any particular character, may it be the protagonist or any other character. 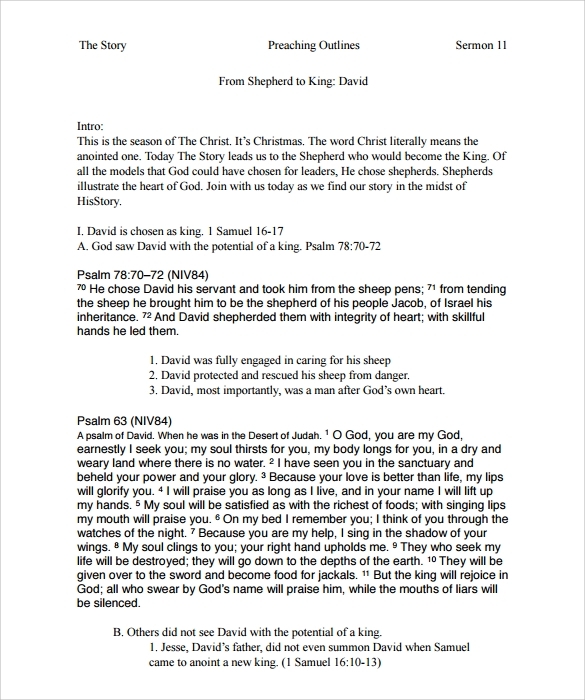 Every work needs a draft in prior in order to make the work perfect, this template provides that very draft to the story which proves to be a base for it. You can also see Report Outline Templates. The story outline template provides you various benefits like it helps you in drafting your story effectively with the help of outlined points. It makes it clear to you that how the story is going to proceed, what turns and twists it will go through before the climax and what conclusion would you get at the end. All these details when preplanned, helps you to draft the story much more effectively. It also saves your time and efforts while drafting the story as you can look upon these outlined points when confused.